The first round of SXSW Music Festival artist announcements is here! See the full list (it's a long one!) below. 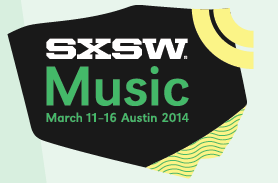 Here is a little sneak peak of who to expect at SXSW 2014. The music portion of South by Southwest takes place March 11-16 in Austin, TX. Who's going? Blood Cultures - "Indian Summer"